News around the US suggests retailers will be opening earlier than ever before to make sure Black Friday results in a full 24 hours of holiday shopping frenzy. 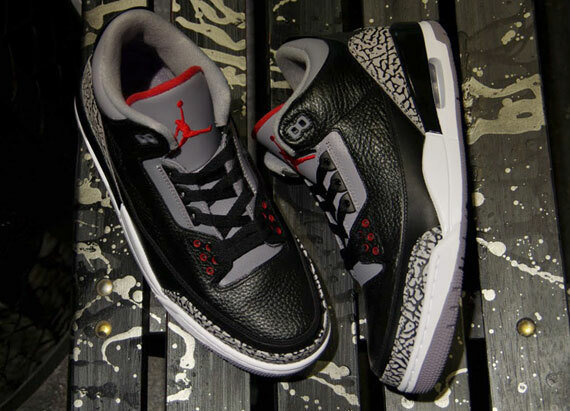 Key among the values available that day will be a shoe so good it’s a bargain at any price, the Air Jordan III Retro ‘Black Cement’. Debuted in 1988 and retroed a few times in the interim, the Black Cement AJ3s were second only to the Air Jordan XI ‘Concord’ in terms of OG colorways according to our readers, 1 and 1a now serving as bookends to the most heavily stocked holiday season on record. Of course, Thanksgiving is an American tradition, so the day after means far less to most other countries and so Asian retailers like mita sneakers have already gotten theirs ready to sell. Click through for a series of new photos and let us know if you’ve already gotten your pair, or whether you plan to line up to make sure you secure one.